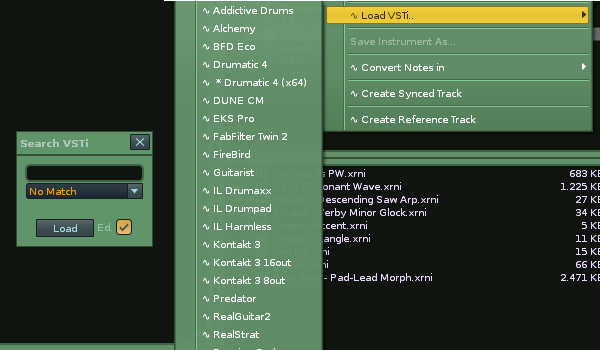 Opens a custom search box to load plugin instruments or fx. This is the fastest way to load plugins. --Search improved so matches are found alphabetically and so if you type im `f` as the first letter, plugins beginning with `f` will be the first to appear. Before it could occur that a plugin containing a different starting letter but had `f` appearing later in its name, would appear first. --Jureks `/` modification added to categorisation definitions.